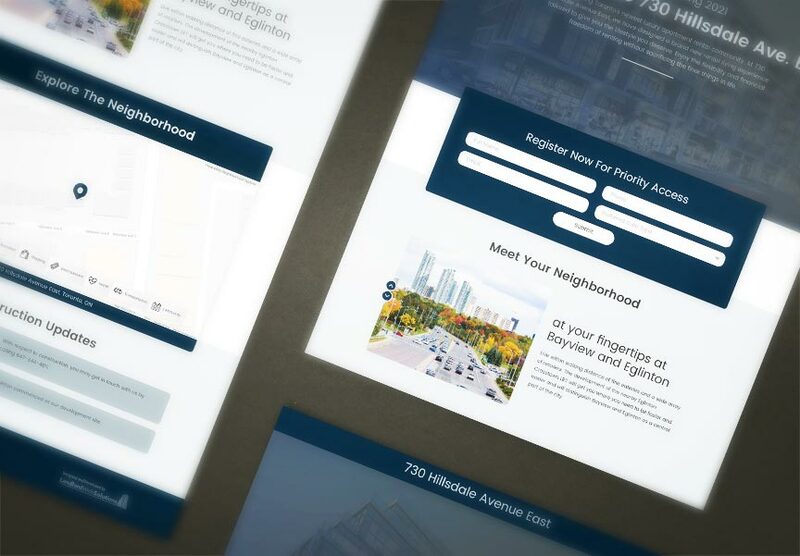 Congratulations to The Brown Group of Companies Inc., who started their lease up campaign with a landing page to showcase their new build in Toronto at 730 Hillsdale Ave. E.. Visitors see neighbourhood highlights, construction updates, and can register for their mailing list. Landing pages work well with SEM Campaigns, building a warm list of leads, and generating buzz along with on-site signage and social media marketing.